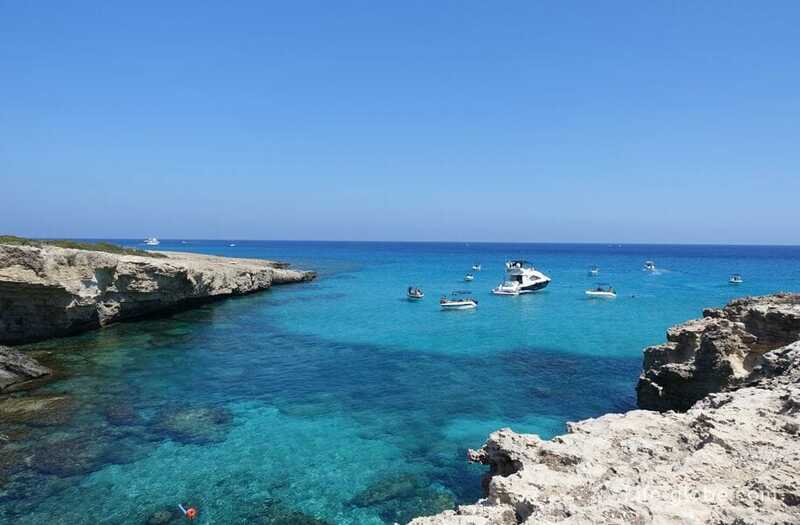 Manolis Bay is a Cove located in the national Park of Akamas Peninsula (North of Paphos), in the Northern part of the coast. Bay Manolis is adjacent to the famous Blue Lagoon, just East along the coast from the latter. 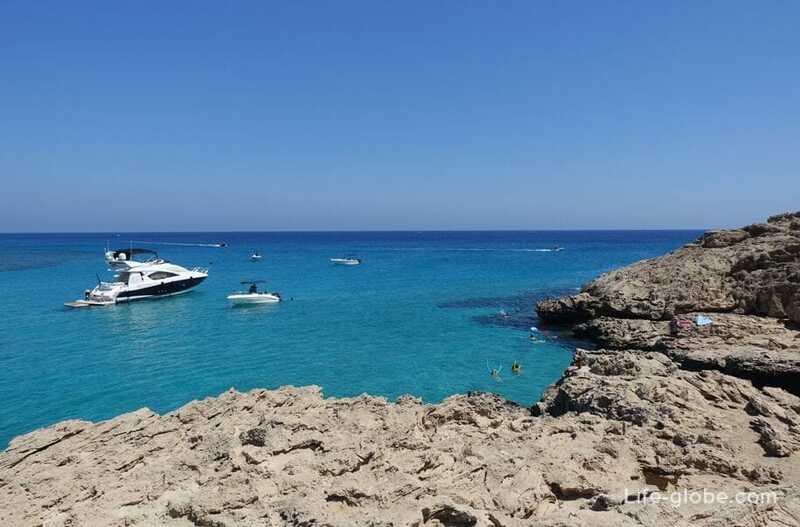 This Gulf is fundamentally different from its Western neighbor - Blue Lagoon, primarily because the Bay is surrounded by the overhanging sea-water rock formations, natural sea caves, as well as fast set the depth reaches 5 meters. Sea water in the Bay is clean and clear, have a rich blue color. Come to the Bay with tourist boats and yachts. This place is perfect to practice snorkeling and scuba diving. Approach from land to the waters of the Bay may be difficult, but with the East and West sides have easy descents. When entering the water be careful and cautious. In our opinion Manolis Bay is the best Bay on the North - North-East coast of the Akamas Peninsula. First, in contrast to the popular Blue lagoon, Manolis less crowded. Second, the depth comes almost immediately. And thirdly, overhanging the sea surface, uneven rock formations, make this place truly magical. And rich and deep colors of sea water - soothes. 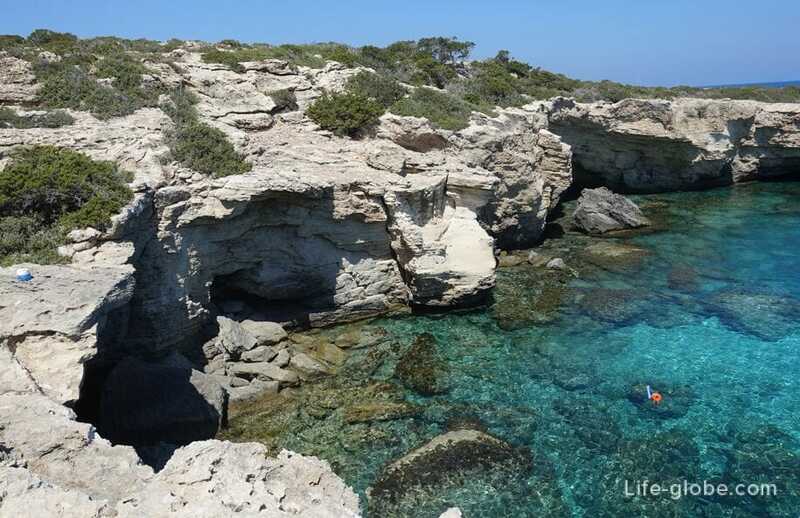 All this contributes to the fact that the Bay Manolis stands out against other more and less known coves and bays of this part of the coast of Akamas. one of the many tours (Safari tours). Each method has its own quirks and pros and cons. Read more about how to visit the Akamas, including the Bay Manolis, it is possible to learn here.